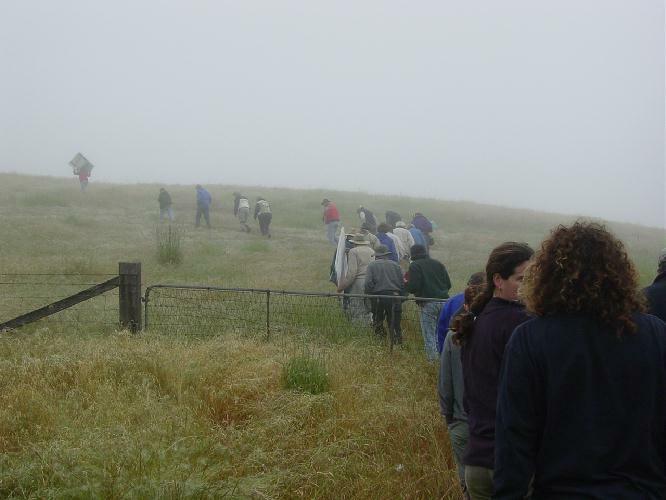 Thirty-one members of NCGS enjoyed a wonderful field-trip in the mountains of Sonoma County over the weekend of June 6-8. 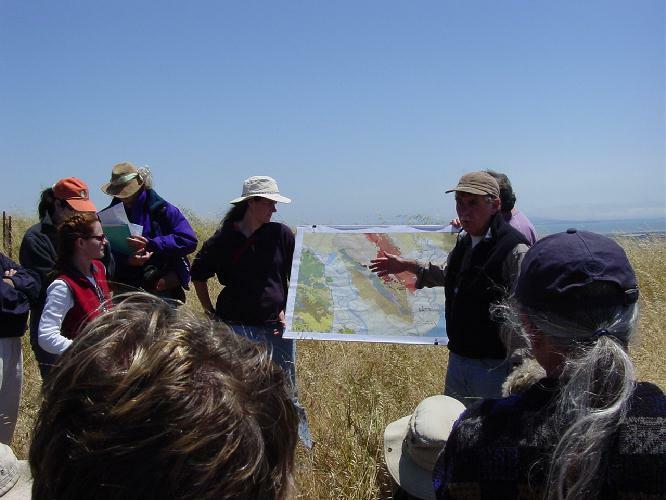 Our tour was led by Bob McLaughlin and Andrei Sarna-Wojcicki of the USGS and Dave Wagner of the California Geological Survey (CGS). 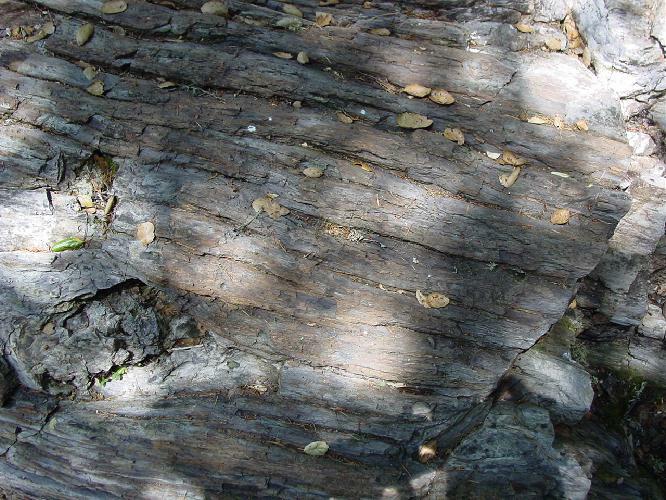 They provided a progress report (including a fine guidebook) on recent studies of the long-neglected North Bay region, where active dextral faults juxtapose hard-to-differentiate sequences of poorly-exposed late Cenozoic volcanic rocks. 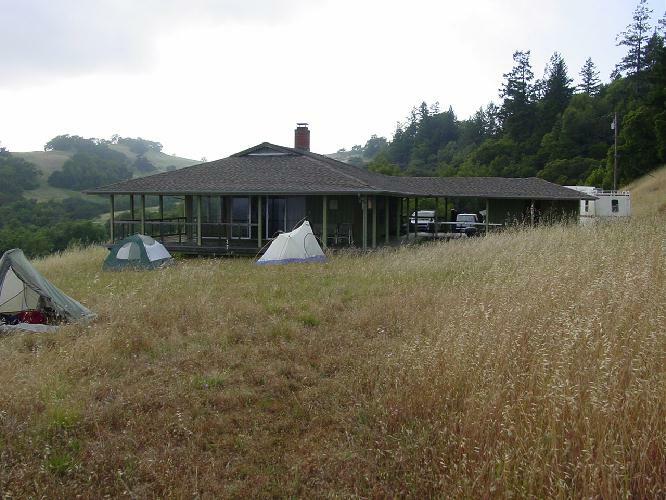 Our base was Pepperwood Ranch north of Santa Rosa, formerly a Bechtel family property and now a preserve owned by the California Academy of Sciences. Evenings were centered in the main room of Bechtel House, with preliminary geological maps available for discussion. The advance guard on Friday night fed on pizza and on Saturday night the entire group feasted on Tridib Guha’s splendid barbecue of salmon, chicken, roast corn, and beans. The only downsides to the weekend were: the thick, wet fog that enveloped our mountainside lair late each evening and at Saturday’s Stop 1, reduced our “360-degree regional overview” to a few hundred feet; and the rambunctious nanny-goat at Stop 3, the best accessible exposure of the southern Maacama fault but located in a goat pen where the goats browse on poison oak and then nuzzle any trespassers (this goat ate part of John Karachewski’s guidebook while John was trying to photograph the fault!). The morning hike up to Stop 1! 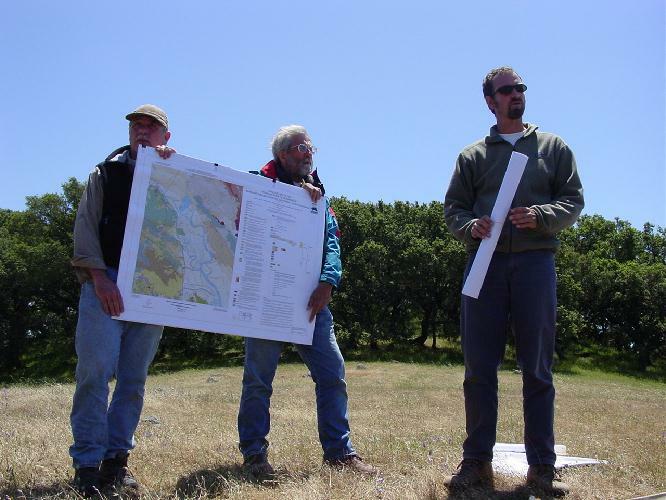 Ongoing geological studies in the North Bay area, aimed at a better understanding of its earthquake history and seismic hazards, are being funded through elements of the National Geological Mapping Act of 1992. 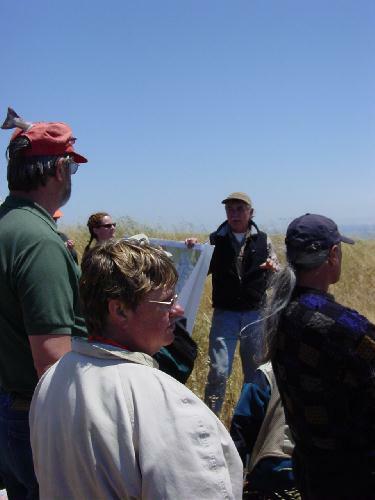 Those elements include: FedMap, that is funding USGS mapping north of Santa Rosa; StateMap, providing 50/50 Federal matching of State funds for work in the southern Sonoma Mountains; and Edmap, supporting several exceptional graduate students in thesis mapping under CGS and USGS guidance. All the mapping is at the 1:24,000 scale. The USGS is providing argon/argon dating and the wonderful tephrochronology of Andrei Sarna-W, who has fingerprinted at least 12 tuffs and flows within the 8.17 (8.65?) 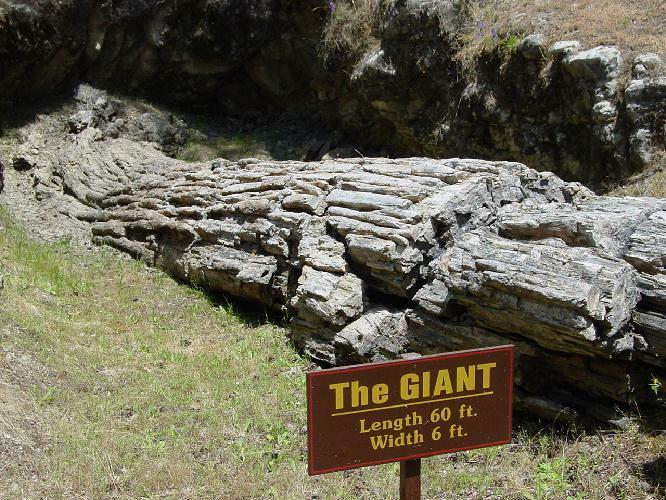 to 1.96 Ma span of the Sonoma Volcanics. 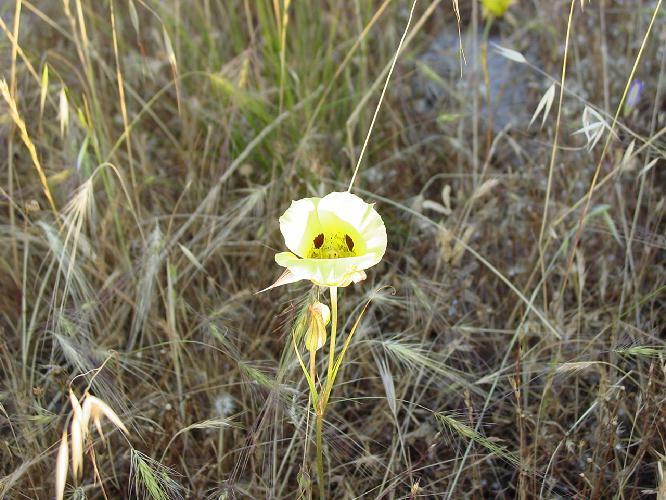 Results to date from this joint project suggest a very fruitful synergy within this group. 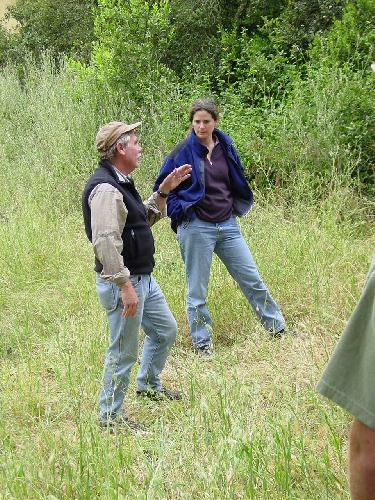 Saturday’s trip ranged north and west of Santa Rosa and was led by McLaughlin and Sarna. Of particular interest was the Maacama fault and the ash beds and fluvial gravels that constrain geological mapping in this area. Six of the nine stops are accessible to the public and the guidebook includes a road-log, map and stop descriptions. 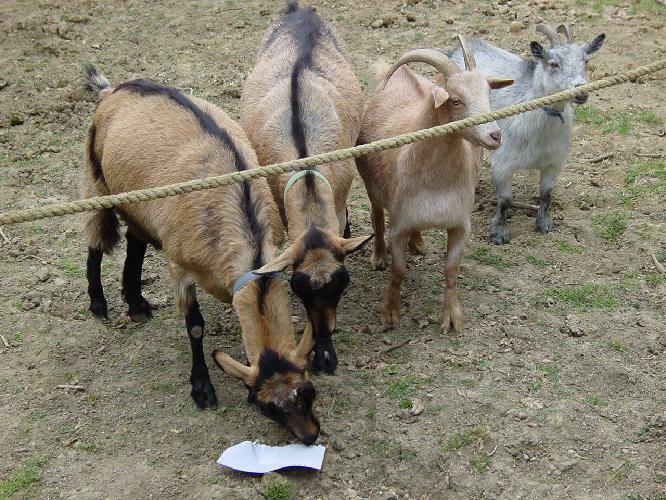 Stop 3: The infamous goats and part of a field guide! 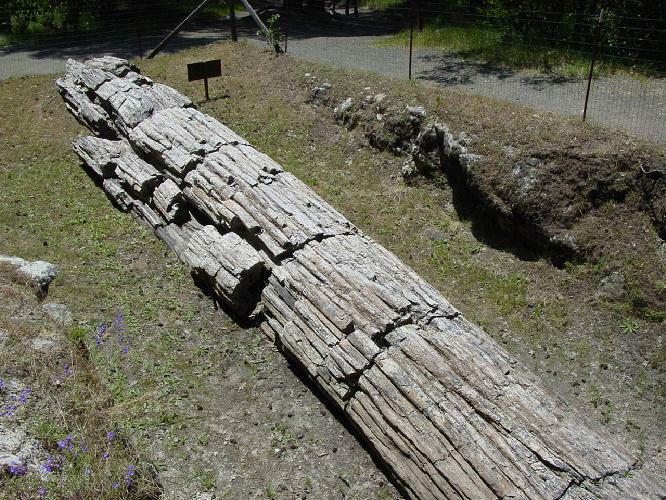 Lunch was at the Petrified Forest, a vintage tourist stop, where redwoods and other conifers lie entombed in a 3.35 Ma ash bed. At stops 1, 3, and 5 we saw the Maacama fault in detail and in the geomorphic features of an active dextral fault zone up to 1 km wide. To the south in the Santa Rosa area, the right-step from the Maacama fault to the Rodgers Creek fault is reflected in the local, north-trending Rincon Valley graben, but elsewhere the new mapping shows a more complex structural pattern. The N-NW-trending Maacama fault zone is superimposed on a series of W-NW-trending, NE-dipping thrust and reverse faults that have shaped the valleys and ridges within and NE of the stepover area. These W-NW-trending faults are thought to be relicts of the Cascadian convergence regime, though some are seismically active (as is the Maacama fault). Offsets of obsidian-pebble lithofacies in Plio-Pleistocene gravels from their very localized sources east of the Maacama fault give a minimum displacement of 13 km on the fault; offset of a 2.85 Ma ash flow tuff section (visited at stops 5 and 7) suggests a displacement of about 24 km. 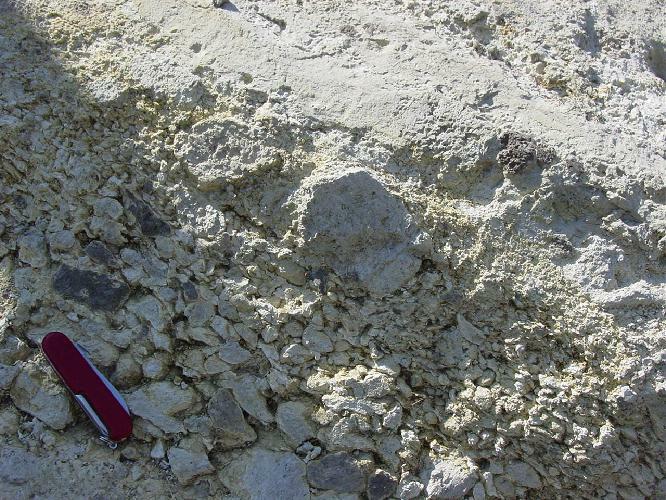 Stop 5: Ash flow tuff section of Franz Valley – See road log for further details. 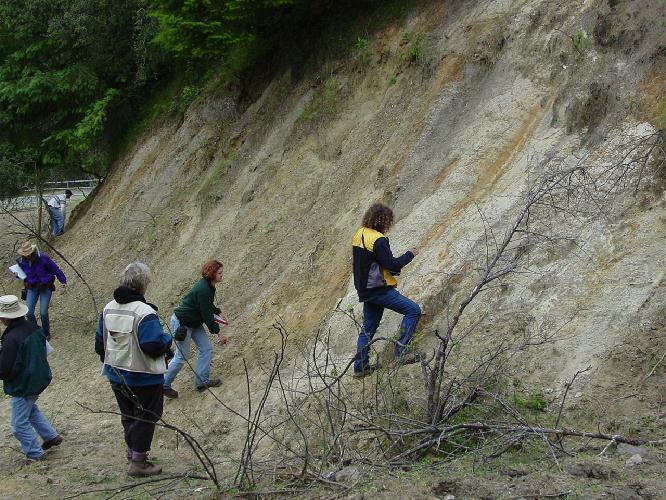 Stop 6: Air fall and water lain tuff along Chalk Hill Road (including diatomaceous units). 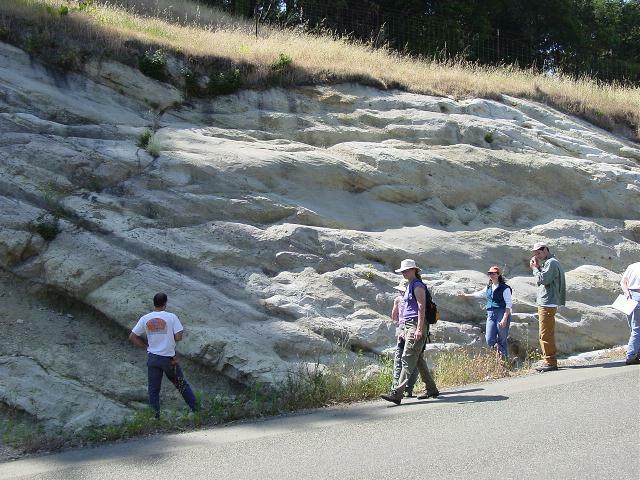 Our last stop on Saturday was on the subdued scarp of a down-to-the-east fault that cuts the Santa Rosa plain. 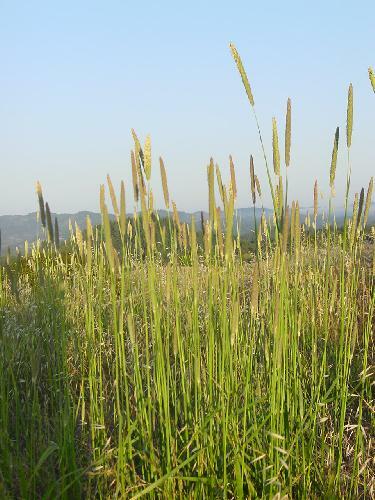 This broad plain has been built of fluvial sediments derived from the mountains to the east. Beneath it, as shown by Bouguer gravity, are the Windsor and Cotati basins, 2.5 to 3 km deep. After breakfast on Sunday we caravanned an hour south from Pepperwood, through Petaluma and along Highway 116 into the southern Sonoma Mountains. As the entire day’s trip would be on private ranch lands, there is no road log or map in the guidebook. Dave Wagner has provided a summary of the geology and tectonics of the area and was leader for the day, introducing at various stops the three graduate students who have worked within the EdMap program. 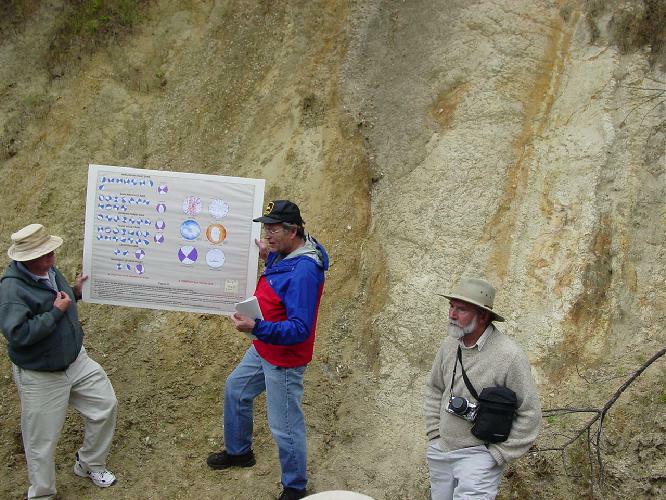 On the east flank of the mountains along the Bennett Valley fault, Jim Allen (MS, San Jose State) presented a long-needed comprehensive study of the Petaluma Formation (8.4 to 4 Ma) and its western, marine equivalent, the Wilson Grove Formation. 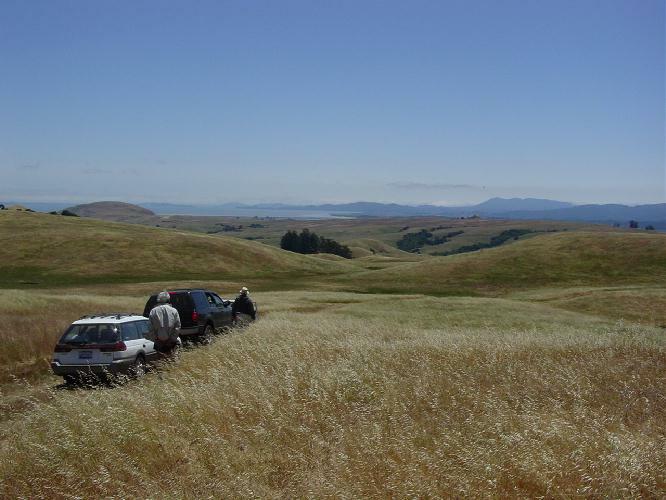 Argon/argon dating and tephrochronology by the USGS provides the essential framework for Allen’s study and, in a significant breakthrough, includes a dating (9.3 – 9 Ma) of the volcanic rocks beneath the Petaluma Formation in the Petaluma oilfield. 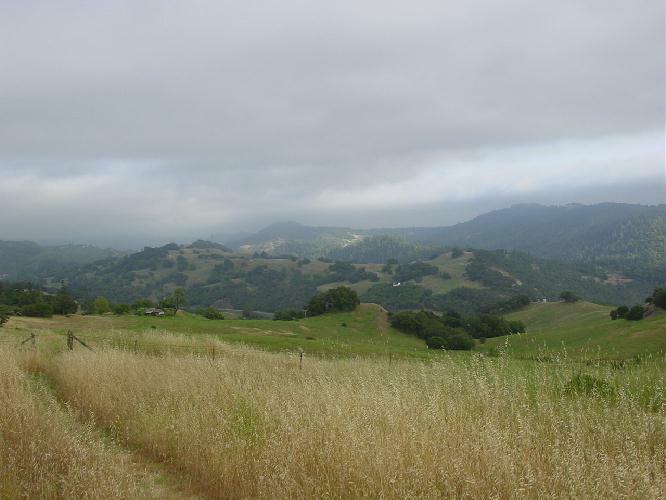 The lower Petaluma, 90 to 183 m thick, is shallow-marine to lacustrine mudstone that likely sourced the oil in that small field. 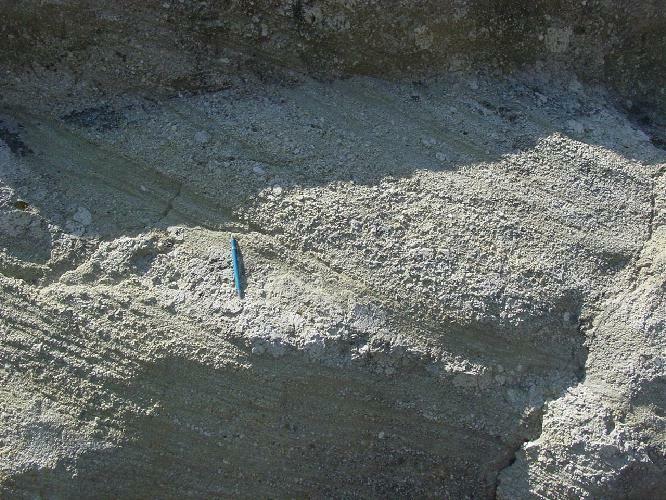 Allen has differentiated the middle and upper Petaluma, fluvial to shallow-marine deposits derived from the east and totaling at least 1037 m in thickness, on the basis of clasts in the conglomerate beds. 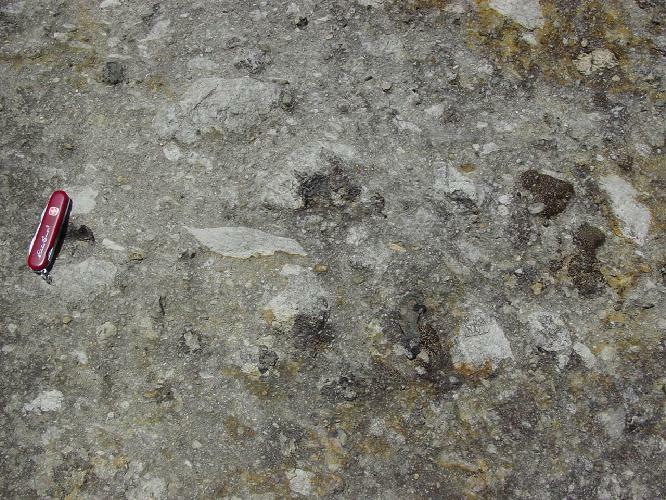 Both units contain Franciscan clasts but the upper Petaluma conglomerates are dominated by clasts of Monterey chert and a unique white sandstone with glauconite and quartz veins. 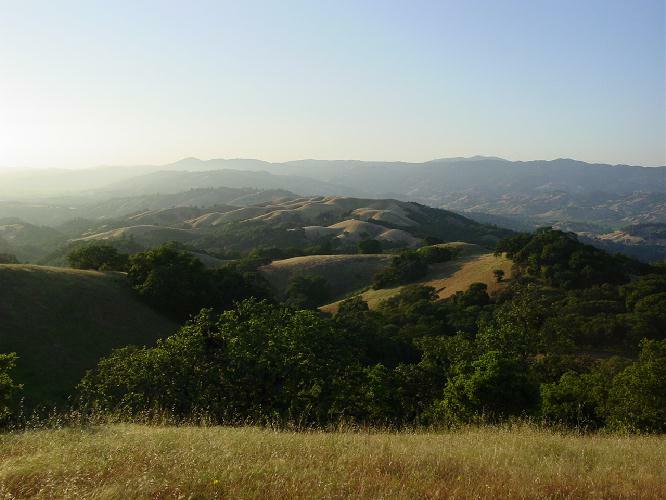 This distinction is carried westward into a belt of interbedded Petaluma and Wilson Grove formations that represents an oscillating Mio-Pliocene shoreline. 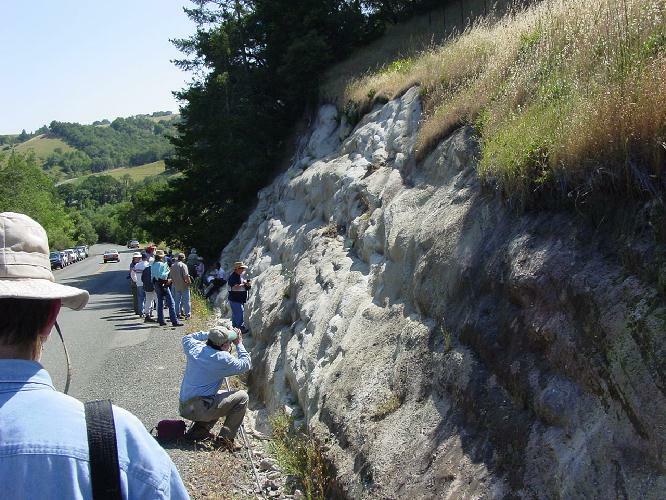 The Monterey clasts are readily related to the 13 Ma Claremont chert but Allen had to search the East Bay Hills to find the source of the white sandstone in the Briones Formation east of San Jose. This match suggests a right-slip of about 67 km across the Hayward fault – and its northern equivalents – since about 5 – 6 Ma. 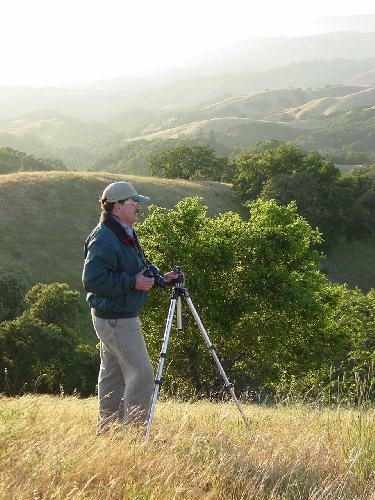 Regarding the northern extension of the Hayward fault, Jim Allen has dropped a bombshell by finding unequivocal outcrops of upper Petaluma east of the Rodgers Creek fault within and on the east flank of the Sonoma Mountains. 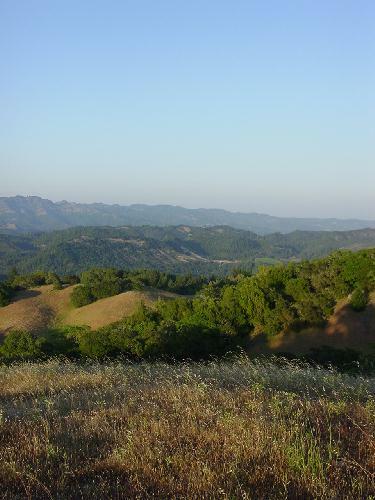 This appears to require a hitherto-unrecognized extension of the Hayward fault that veers northerly beneath San Pablo Bay and beneath the alluvial floor of the Sonoma Valley, complicating the right step from the Hayward to the Rodgers Creek fault. 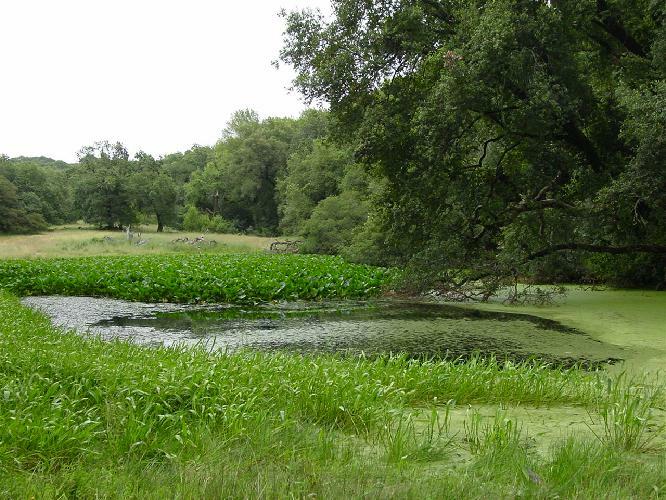 After Allen’s presentation we followed ranch roads onto the crest of the Sonoma Mountains and encountered the Rodgers Creek fault at Lee Lake, certainly the loveliest sag pond this geologist has yet seen. 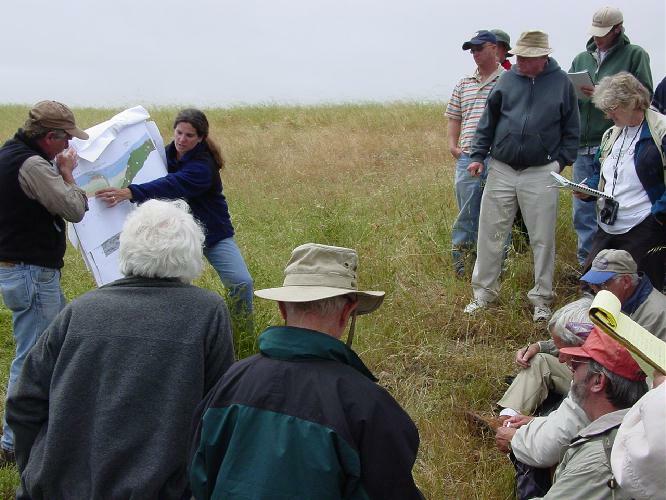 Carrie Randolph-Loar led us south along the fault zone to the site of her Gravelly Lake trench, a key element of her recent MS thesis at San Francisco State. The trench site was chosen after detailed air-photo mapping and a ground-penetrating-radar transect that proved to show quite clearly the two fault traces and several key horizons later revealed by trenching. The paleoseismic investigation at this site documented six events over the past 6,800+ years, with three events in the past 3,700 years. Earlier trenching some 8 km to the north (visited by a 1992 NCGS field trip) had found three events over the past 925 – 1,000 years, with a recurrence interval of 230 years. 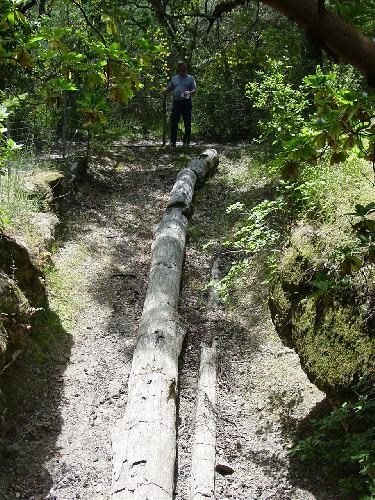 Several explanations were advanced for this discrepancy and further trenching is planned. Mt. Burdell in the distance. 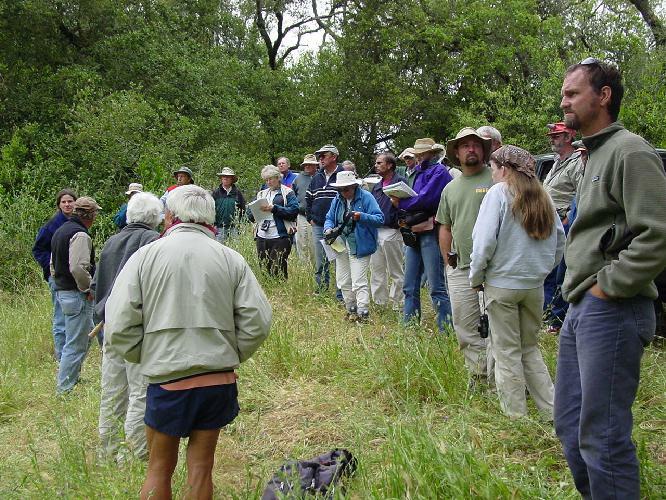 We paused near the trench site for lunch and a brief presentation by Eric Ford, (SF State graduate student) on his mapping of the Burdell Mountain Volcanics (13.6 – 11.1 Ma) and Burdell Mountain fault zone, about six miles to the southwest. (Rick will lead a NCGS field trip there in November.) We were joined during lunch by the ranch owners, a pleasant and accommodating couple who accompanied us to the next several stops. These took us south into the trough between the Rodgers Creek and Tolay faults, where we saw an outcrop of Donnell Ranch Volcanics, 10.64 to 9.28 (8.52?) 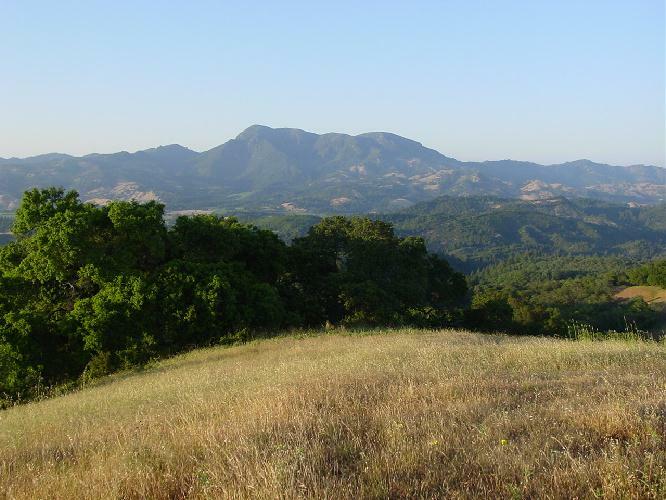 Ma, and discussed the complex faulting in this vicinity that includes east-vergent thrusting of Donnell Ranch Volcanics over Petaluma Formation. 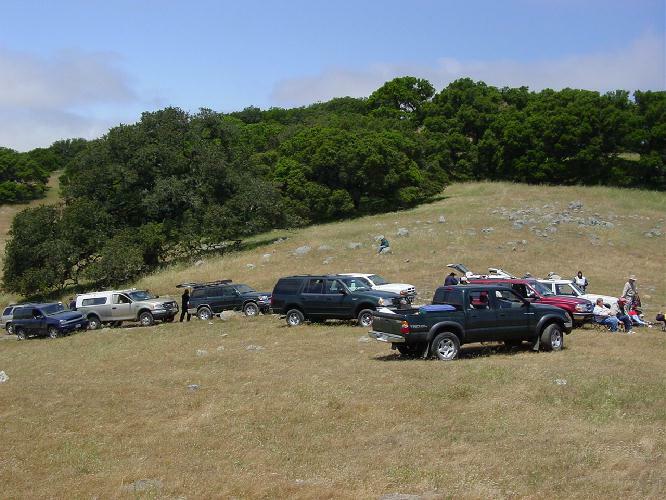 Recent major excavations at the Sears Point Raceway provided ephemeral exposures of a zone over 2,000 feet wide of intensely sheared Petaluma Formation and Franciscan rocks where the Tolay fault has been mapped. 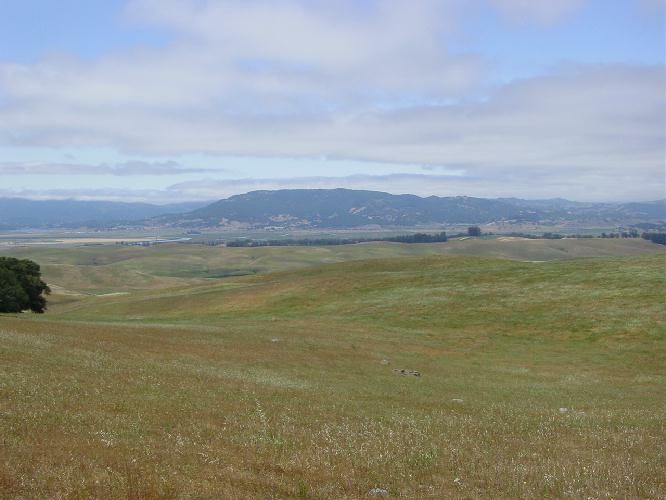 The Sears Point “anticline”, a knob of Franciscan west of the Tolay fault, is now seen as a diapiric uplift, intermittently raised in late Miocene and subsequently. 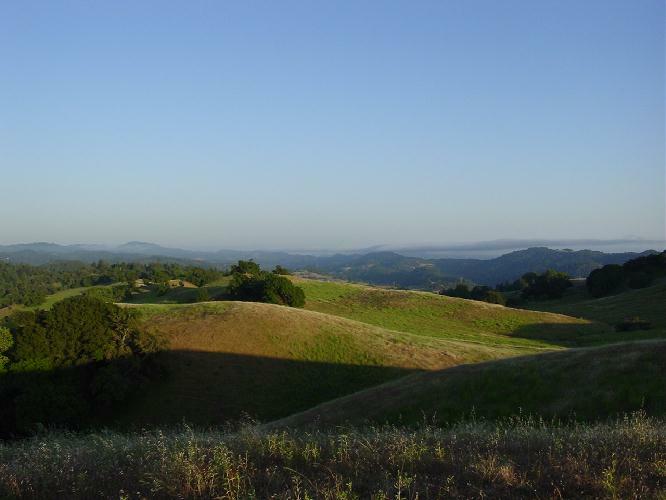 West of this uplifted knob, beneath the Petaluma River marshes and the Petaluma Valley, an inactive fault located chiefly by gravity data and called the Petaluma Valley fault, is believed to be the ancestral northern extension of the Hayward fault. 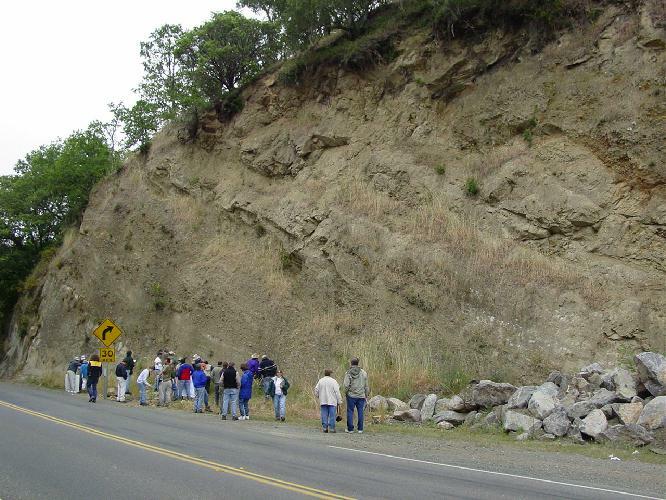 Our final stop, just north of Highway 121, was a rhyolite outcrop just east of the Rodgers Creek fault, at about 8 Ma the oldest known part of the Sonoma Volcanics. Overview of the trough between the Rogers Creek and Tolay Faults. Dave Wagner leading discussions at the overview. For those of us who are fascinated spectators as the interpretation of San Andreas tectonics unfolds, and may participate to the extent of occasionally throwing a loose ball back into the field of play, it is most heartening to see this team of skilled veterans and talented “rookies” working together in the North Bay region. 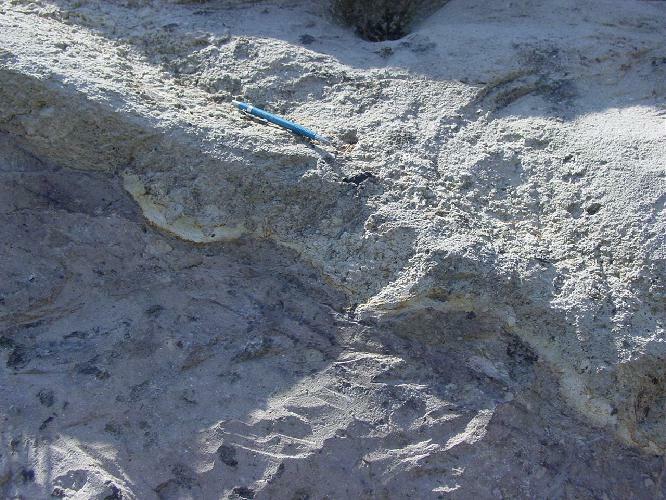 We were left with a sense of great progress, yet much more work still to be done in unraveling a complex picture of late Cenozoic volcanism and evolving fault patterns in a young San Andreas transform zone. 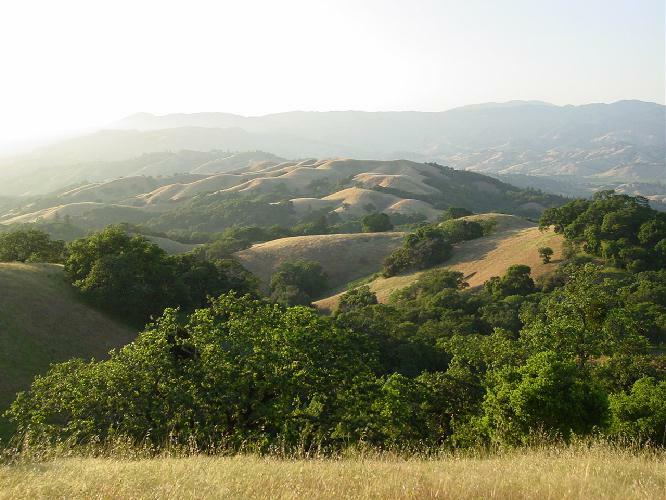 Just east of this zone in the Hollister area, the Quien Sabe Volcanics (11.6 – 7.4 Ma) are thought to correlate with the Burdell Mountain Volcanics (13.6 – 11.1 Ma), suggesting 175 km of displacement. Each successive fault block to the east contains a younger sequence of volcanic rocks: the Donnell Ranch Volcanics , 10.64 to 9.28 (8.52?) 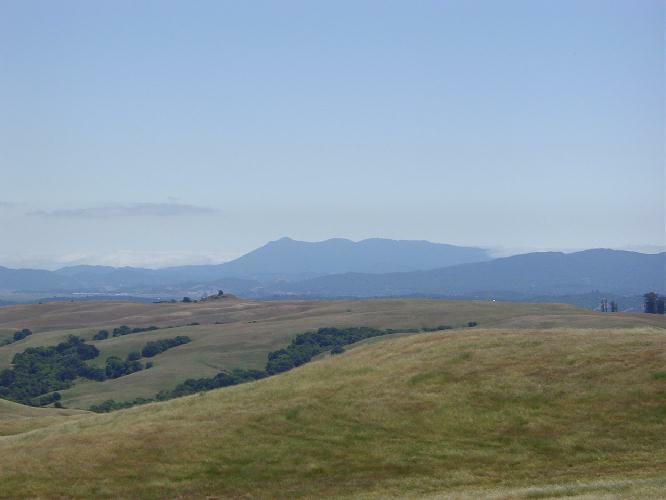 Ma east of the Petaluma Valley fault; the Sonoma Volcanics , 8.17 (8.65?) 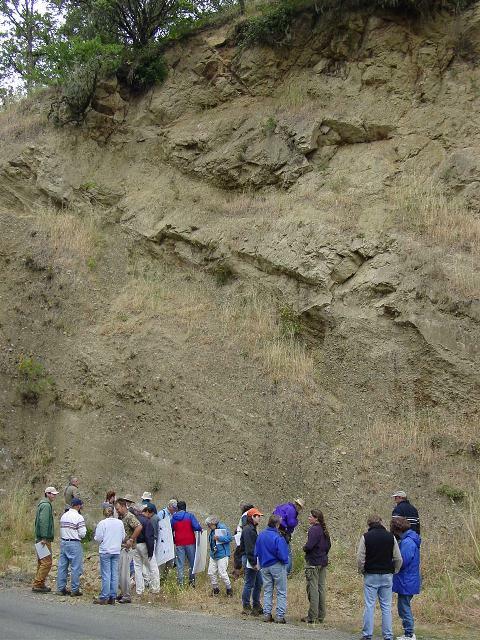 to 1.96 Ma within and east of the Rodgers Creek fault zone; and east of the Maacama fault, the Clear Lake Volcanics (2.2 – 0.007 Ma), the subject of a NCGS field trip on August 2. We have the concept of a volcanic hotspot (now the Geysers geothermal area) at the plate margin migrating northwestward in the wake of the Mendocino triple junction, perhaps a slab window behind the subducted Gorda slab. 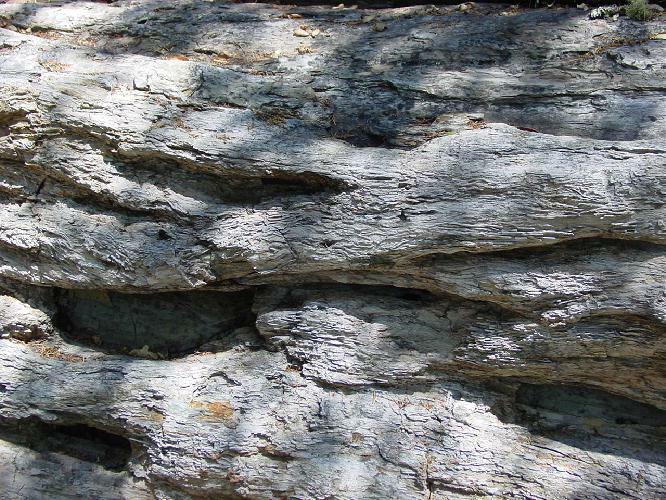 As portions of the resulting volcanic field become attached to the Pacific plate they are sliced off and carried northwest in a series of fault slices. In each slice the volcanic rocks are oldest at their southern end. The four volcanic units now overlap geographically, having been carried along almost as far as the “hotspot” has traveled over the past 12 My. 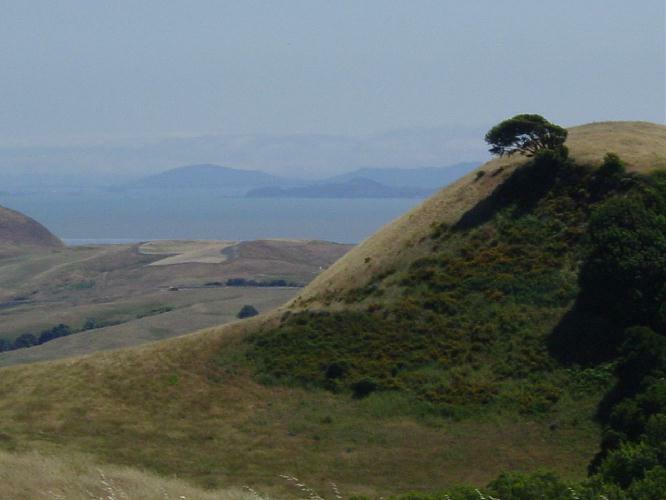 The localized contraction north of San Pablo Bay, including the diapiric Sears Point uplift, may be involved in the deflection of dextral faulting from the Hayward fault north to Allen’s postulated Sonoma Valley fault. This is just one of the complications yet to be resolved in the North Bay region. 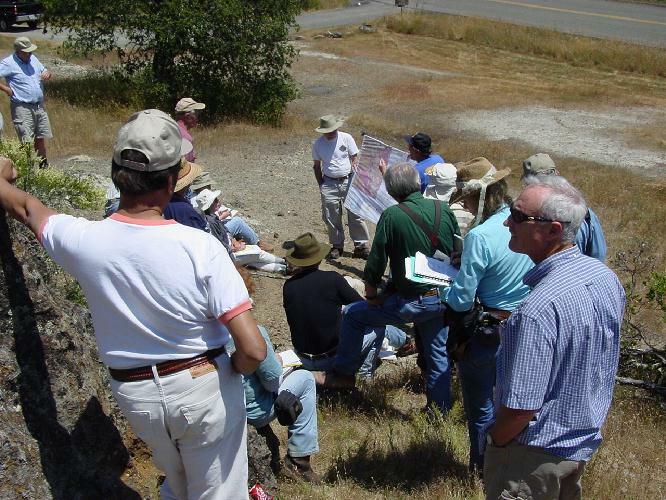 Bob McLaughlin and Dave Wagner have started to talk about a symposium on North Bay geology and tectonics at the 2005 Pacific Section/Cordilleran meeting in San Jose. I, for one, am looking forward to that. Photos kindly provided by Mark Detterman.